Commentary on recent research with a perspective from a UX consultant and trainer. Mapping customer journeys is crucial in understanding moments of truth. However, only 17% of marketers have the ability to fully analyze a customer journey. That creates challenges if your customers are evolving faster than you can react. David Edelman and Marc Singer from McKinsey wrote last week in HBR about streamlining decision journeys. The explosion of digital technologies over the past decade has created “empowered” consumers so expert in their use of tools and information that they can call the shots, hunting down what they want when they want it and getting it delivered to their doorsteps at a rock-bottom price. In response, retailers and service providers have scrambled to develop big data and analytics capabilities in order to understand their customers and wrest back control. They regard companies as being reactive using big data and analytics to figure out customer journeys in this new multi-channel landscape. Further, they argue that there’s an opportunity to streamline the customer journey by shortening or eliminating the consideration stage. This article from SAS provides an introduction and a great rationale for mapping customer journeys. 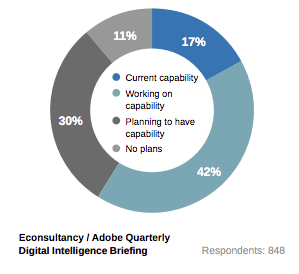 In partnership with Adobe, Econsultancy surveyed nearly 2000 digital marketers and e-commerce professionals. They found that lack of capability is a key issue in matching channels and content to the customer journey. As a User Experience consultant and trainer, I regularly conduct customer journey mapping sessions inside enterprise organizations and agencies. I find that most marketers and e-commerce leaders do understand customer journeys as being crucial in understanding customer behavior. Especially with fast-moving, digitally savvy consumers. But the marketing focus still remains on reactive campaign marketing (social, web or email). This means mapping customer journeys as a proactive way to decipher consumer actions often falls by the wayside. 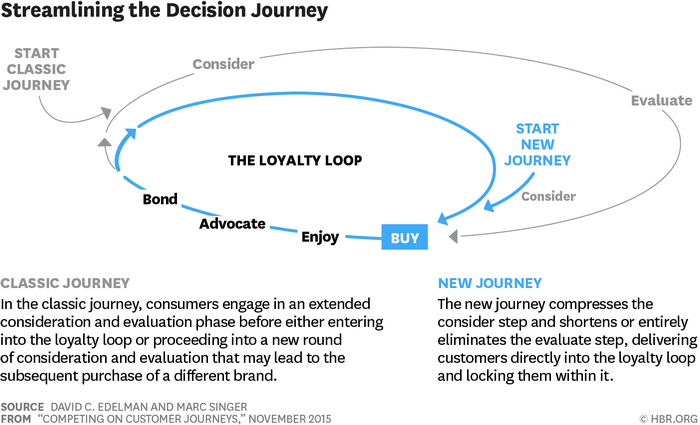 The process of mapping consumer journeys is actually quite simple. It can be done on a whiteboard with a simple template in as little as a few minutes for a particular scenario. And it can be learned in a 3 hour workshop.However, the mandate has to be conveyed, especially with integrating it into the regular workflow.